This Post has already been read 1711 times. 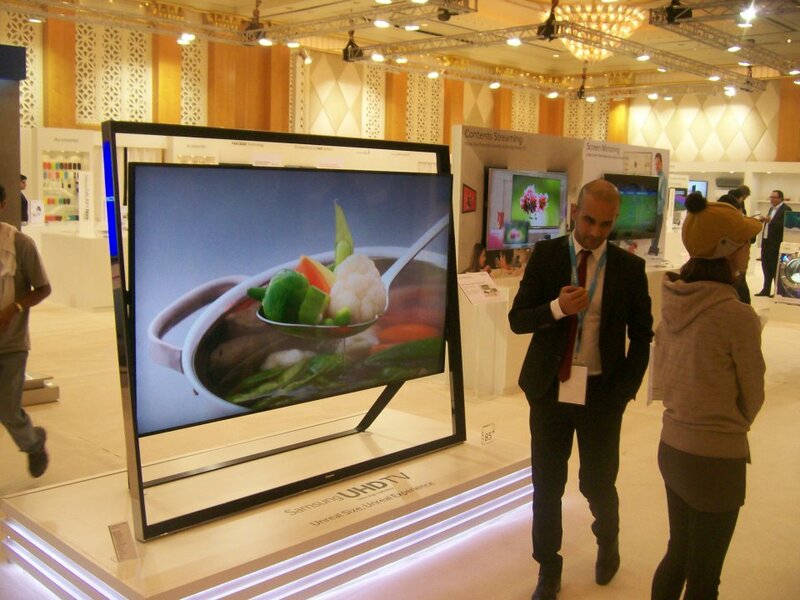 Samsung Electronics Co. Ltd., a global leader in digital media and convergence technologies, unveiled numerous innovative products at the Samsung Middle East and North Africa (MENA) Forum 2013. Among these, the revolutionary UHD TV has completely redefined the concept of home-entertainment, as it emerges from a new vision for the consumer-electronics industry. Samsung has introduced its first 85-inch Ultra High Definition Television (UHD TV) – the 85S9, which presents a stunning, Timeless Gallery design, and sets a new standard for Television craftsmanship. The UHD TV appears to float within its frame and juxtaposes its classic minimalism with the imposing 85-inch display screen. UHD TV 85S9 offers four times the resolution of Full HD displays to deliver unmatched picture detail and clarity. It also includes an up-scaling engine that can automatically up-convert HD and Full HD content to UHD resolution, offering a whole new world of viewing experiences. This UHD TV also makes Samsung the first TV brand to offer support for the new high compression video codec – HEVC, which delivers higher streaming video quality over lower bandwidth, so the content will consistently look amazing.